Hi everyone! 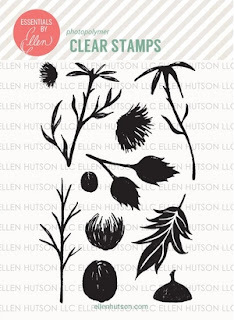 Today, I want to share a card I’ve made using stamps from the latest Ellen Hutson release. 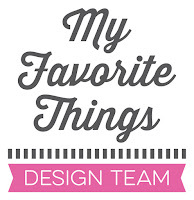 I chose to work with the Thistle stamp set by Julie Ebersole. The leaf I used is simply beautiful. I played with the resist technique: I heat embossed it using white embossing powder and sponged the panel with Distress inks. I went for fall and warm colors. 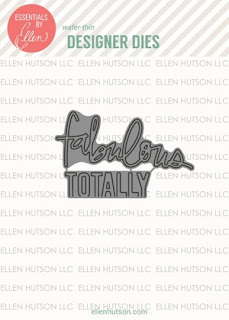 The FABULOUS sentiment is a word that I die cut from the Totally Fabulous die set by Julie Ebersole too. I’m in love with the beautiful font! This card is FABULOUS, Francine. 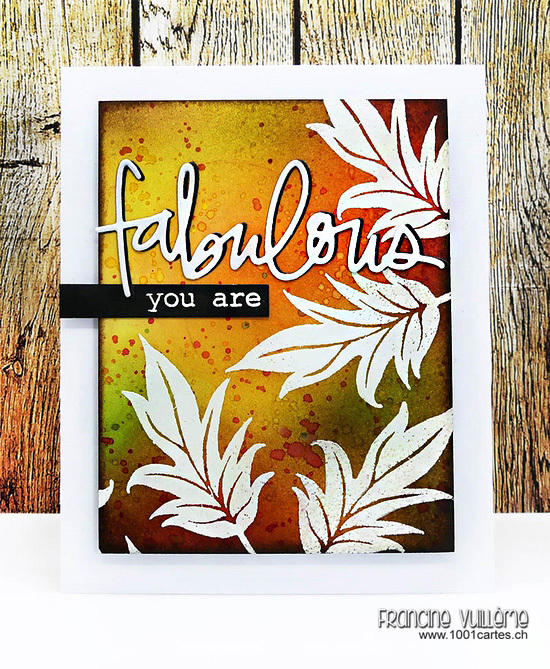 Gorgeous fall colours and the white embossed images just pop! You have done an amazing job showcasing this beautiful leaf with your gorgeous background! I love the font on this sentiment, too...another really striking card, Francine!